“What is so important to you that it is worth traveling through the fires of Hell?” Hades asked. Hades sighed heavily, but at my excited look, nodded at Orpheus. Orpheus waited a beat, and then opened his mouth to sing a heart-wrenching song begging for his wife back. Coming from anyone else it would have seemed cheesy, but as his voice filled the room, I could feel my own heart breaking for him. I blinked at the title. For the past month, when Moirae wasn’t glaring at me like she’d like to witness my crucifixion, she pretended I didn’t exist. I mostly returned the favor. I smiled at Hades flirtatiously and laid a hand on his. I felt a little silly, but I might as well put that charm to a good cause. “It would mean a lot to me,” I whispered, looking at him through heavy lashes. I was startled to see his face change. He looked completely unguarded. That never happened during goddess lessons. “Is this woman judged to be of great good or great evil?” Hades asked. “Neither, my lord,” Moirae responded. “Is she here?” Orpheus asked. He started to turn. She looked the same as she had when I’d seen her alive. I looked at Cassandra. 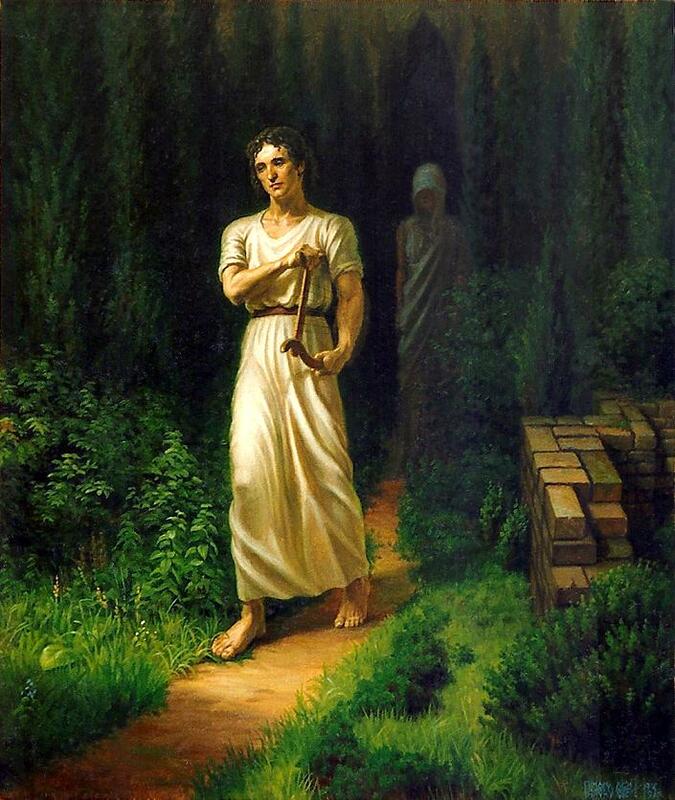 When Orpheus’ wife was killed by a snake bite, he traveled to the Underworld and begged Persephone and Hades to return his wife to life via song. They relented, and told Orpheus so long as he didn’t look at Eurydice before he reached the living realm she could return to life. He led her out of the Underworld, and every few steps he would call to her and she would answer assuring him she was safe, and more importantly, still behind him. Then as they were leaving the Underworld, Eurydice stumbled. Orpheus called to her to see if she was okay, and she didn’t answer. Sick with dread, he turned, and saw her regain her footing. Their eyes locked and she was forever lost to him. Orpheus plays a pretty significant role in Persephone’s trilogy and with good reason. He is one of the very few people to return from the Underworld alive (Hercules, Aeneas, Theseus, and Odysseus were some others). Orpheus was a bard that had such a gift for song that it bordered on the Supernatural. Casting him as a rock star in my book made sense because he was so incredibly famous. But I didn’t just use him because he was famous or because of this one myth. In mythology, he had strong ties to Demeter, Persephone, and Hades through the cult of the Eleusinian mysteries. He spread the word of their existence and collected worshipers. I needed someone to make the gods famous again. He was a logical choice. Stay tuned to Aphrodite’s series to see how much more of an impact Orpheus and the other Demigods are going to have on this world.